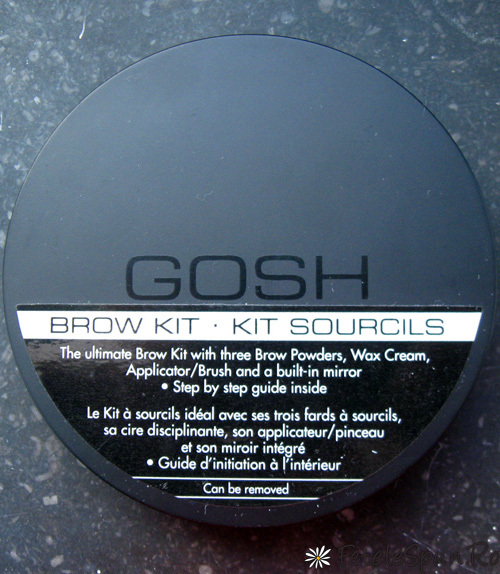 GOSH Eyebrow kit (product review) – AMAZING! In one word, this eyebrow kit is AWESOME. 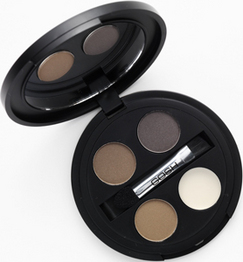 In this small little compact, it contains everything you absolutely need for perfect, natural looking eyebrows. I don’t like using a pencil for eyebrows because they look too drawn on and in other words FAKE. I prefer a powder because the powdery substance I feel is more natural looking. The only pencils I would use is if they are more of a crayon like or chalky substance as these again give a more natural look. I do not fill in my entire eyebrows, as I don’t personally need to but I fill in the front (as that started to disappear on me !) and then I just go over my entire brow to even it out. 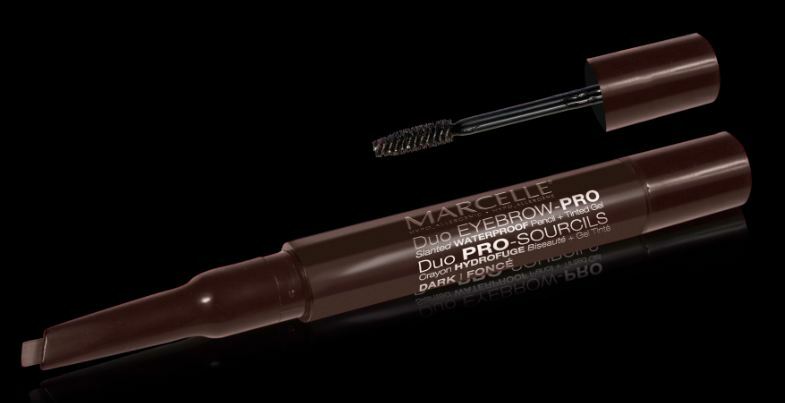 With that being said, I have been using Marcelle Duo Eyebrow Pro pencil which is great. It’s that chalky already angled pencil on one side and gel on the other. 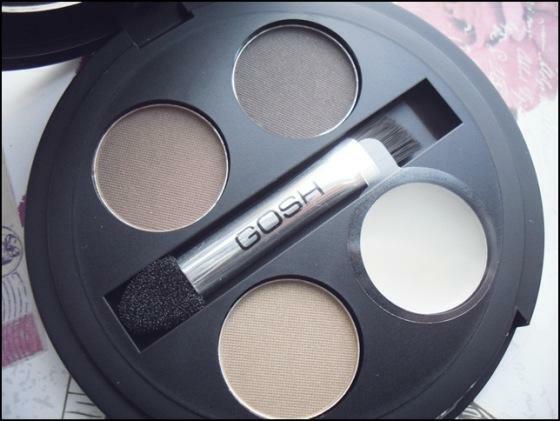 But I do prefer a powder and I’ve been searching for a good one until I saw this GOSH compact at Shoppers Drug Mart for only $20! It contains 3 shades of brown, light, medium and dark and an eyebrow clear wax/gel. There is also a small mirror in the compact and a brush, one tip is angled and the other is just a regular applicator. I love this. I blend the medium and dark brown together for a perfect shade to match my natural brow colour. I dont use anything for my brows as you know, they are nice bushy caterpillers 🙂 *muah* That being said, I love Gosh products as well as Smashbox. Lol bushy caterpillars Omg. You don’t need fillers for eyebrows they’re nicely full girl. I actually never tried any smashbox products I don’t think. What have you tried? I was looking for a good blush that doesn’t come off after like an hour and the cosmetician suggested Smashbox, and I really love it. It lasts for hours. For me yes. It was about 40..
What the hell? That is expensive girl. You could go to MAC and buy a blush for at least 10 dollars cheaper. And they have a great selection. Thanks for linking me to this! Both products look great. Do you prefer one over the other? I do! I prefer the pencil. It’s the perfect shade for me which I have a hard time finding because a lot of the darker brown brow stuff has a red tint to it which I hate. This one is a perfect chocolate colour.